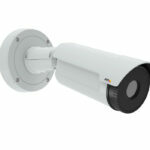 4K video surveillance is easy to implement in a controlled environment. However, as soon as moving objects, changing light conditions and possible bandwidth limitations in video surveillance come into play video surveillance in 4K is a real challenge. The new 4K Ultra HD resolution of Bosch takes these limitations into account. It covers a large area and allows the identification of objects even from a great distance. 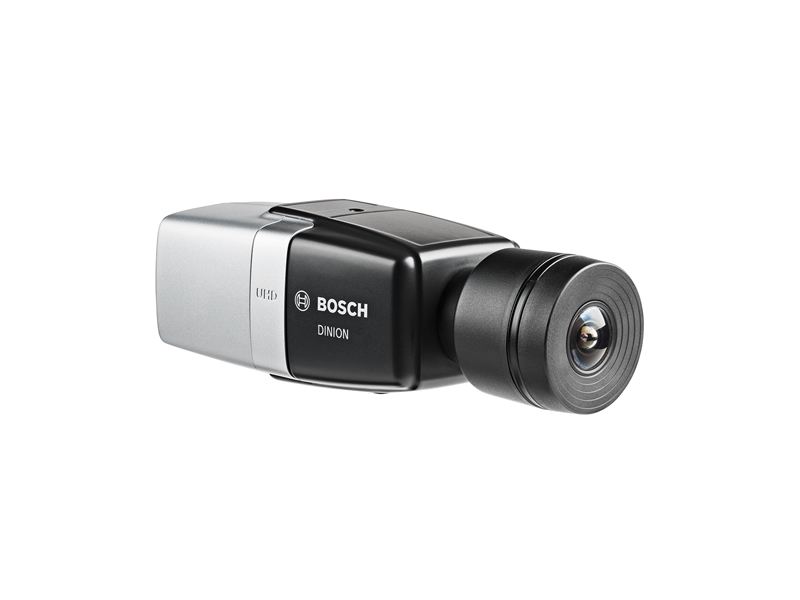 The Bosch IP DINION ultra 8000 MP with 12 megapixels offers an incredible level of detail – even when zooming. With the extremely high frame rate of 20 frames/s at 12 megapixels and 30 frames/s at 4K Ultra HD, you can record objects that move quickly, in high resolution. Thanks to the high speed and resolution you get the level of detail that is crucial for the preservation of evidence. The resulting images are perfect for a detailed and effective subsequent analysis. This 4K camera can display a a wide-angle view and multiple focus points on one display. With Bosch 4K video surveillance you can concentrate on details without losing track. With the intelligent auto exposure (Intelligent Auto Exposure / IAE) an excellent direct light and backlighting compensation is realized – each shot is always created with the perfect exposure. Intelligent Video Analysis (Intelligent Video Analysis / IVA) acquires and tracks relevant events, and brings a meaningful structure in the surveillance footage, so you can retrieve the corresponding video data quickly. The intelligent dynamic noise reduction (Intelligent Dynamic Noise Reduction / IDNR) reduces the bit rate by up to 50%. 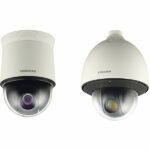 Storage costs and network load will be significantly reduced without compromising the quality of the video recordings. Through the camera’s multi-stream function the integration in the video management software (VMS) from third parties is easy to implement. Video data can be easily managed so that the network load is considerably reduced. The camera is capable of displaying a wide-angle view and multiple focus points on a single screen. You can concentrate on details without losing track. Regions of Interest allow zooming in on specific details of the overall image. These close-ups are transmitted as a separate stream. Overview and details can be viewed simultaneously. The regions of interest by persons or objects of interest can be tracked automatically in a single image. So do not lose sight of them. After only 20 minutes to about 90% of total activity, which runs on a monitor screen, are easily overlooked. Through the intelligent video analysis (Intelligent Video Analysis / IVA) you will be actively supported by to be notified when a preset alarm is triggered. Simplify complex tasks and reduce false alarms by selecting any combination of up to 8 different IVA rules. Airports With the wide overview, you have the entire runway, car parks or bus shelters in view. By prominently positioning zoom views you miss no details of connecting corridors or security areas. Train Stations Perfect overview of the station forecourt, concourse(s), platforms and passageways. Shopping malls, mega stores Overlook passages, tables and checkout areas. Put zoom views on entrances and exits, parking lots. Stadiums Everything at a glance by several 4K cameras at football matches, concerts and other major events. Put zoom views on entrances and exits and you will not miss anything. by admin	22. January 2015 0 Com.